Angela Hendrix, JD, is SDV INTERNATIONAL’S Benefits Trust Manager. Angela, the founder and President of The Onsi Group, began her career as a litigation attorney in private practice. She argued jury trials in both federal and state court for her firm’s corporate and insurance clients. Her first in-house counsel position was at Blue Cross and Blue Shield of Oklahoma (BCBSOK) where she managed all litigation brought against BCBSOK and each of its subsidiaries. Her duties also included providing legal support to BCBSOK’s third party administration system(s) for its large employers’ self-insured fringe benefit plans. Angela, a member of the Choctaw Nation of Oklahoma, began her tenure in the federal government contracting sector as General Counsel for Choctaw Management Services Enterprise (CMSE) at their offices in San Antonio, TX. CMSE is an SBA 8(a), Native-American company wholly owned by the Choctaw Nation of Oklahoma. She successfully guided CMSE through multiple U.S. Department of Labor (DOL) investigations and a California Labor Commission investigation relating to benefit issues arising under DOL’s prevailing wage requirements. Angela then served as General Counsel for TerraHealth, Inc. (THI), a Veteran Owned 8(a) certified company (VOSDB). Once again Angela demonstrated a thorough understanding of labor law, its requirements regarding contractor operations, successfully guiding the company through a DOL prevailing wage compliance audit and price adjustments for all its Service Contract Act (SCA) contracts. Angela was responsible for advising multiple departments within both companies to ensure compliance with federal and state regulations in the areas of finance, contracts administration, proposals, pricing, human resources, recruiting, and payroll, benefits, while also managing outside legal counsel. Utilizing her experience with the DOL, along with managing minority sub-contracting goal compliance for larger companies and other issues in government contracting, Angla is now recognized nationally as a subject matter expert on Service Contract Act (SCA) and Davis-Bacon Act (DBA) requirements. She developed materials, manuals, lectures, and seminars on these critical topics to advise, assist and train others, focusing especially on smaller companies with fewer resources. Those training seminars resulted in client requests for auditing, consulting, and trust and administration services relating to the management of the health and welfare dollars set forth in prevailing wage requirements of the SCA and DBA. 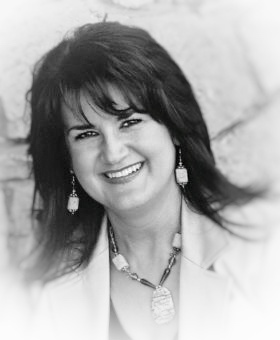 Today, Angela is highly sought-after as a speaker, workshop & seminar presenter who demonstrates a genuine passion for educating and assisting government contractors on SCA and DBA compliance matters. She teaches and lectures throughout the United States, addressing multiple government contracting groups, organizations and contractors every year.